A home is the most costly thing many people will ever buy. 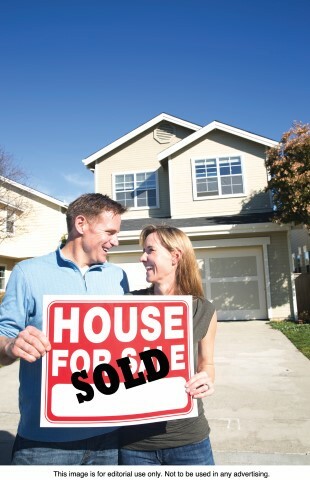 The process of buying a home can be both exciting and nerve-wracking. One way to make the process of buying a home go more smoothly is to save enough money to put down a substantial down payment. Saving for a down payment on a home is similar to saving for other items, only on a far grander scale. Many financial planners and real estate professionals recommend prospective home buyers put down no less than 20 percent of the total cost of the home they’re buying. Down payments short of 20 percent will require private mortgage insurance, or PMI. The cost of PMI depends on a host of variables, but is generally between 0.3 and 1.5 percent of the original loan amount. While plenty of homeowners pay PMI, buyers who can afford to put down 20 percent can save themselves a considerable amount of money by doing so. Down payments on a home tend to be substantial, but the following are a few strategies prospective home buyers can employ to grow their savings with an eye toward making a down payment on their next home. - Decide when you want to buy. The first step to buying a home begins when buyers save their first dollar for a down payment. Deciding when to buy can help buyers develop a saving strategy. If buyers decide they want to buy in five years away, they will have more time to build their savings. If buyers want to buy within a year, they will need to save more each month, and those whose existing savings fall far short of the 20 percent threshold may have to accept paying PMI. - Prequalify for a mortgage. Before buyers even look for their new homes, they should first sit down with a mortgage lender to determine how much a mortgage they will qualify for. Prequalifying for a mortgage can make the home buying process a lot easier, and it also can give first-time buyers an idea of how much they can spend. Once lenders prequalify prospective buyers, the buyers can then do the simple math to determine how much they will need to put down. For example, preapproval for a $300,000 loan means buyers will have to put down $60,000 to meet the 20 percent down payment threshold. In that example, buyers can put down less than $60,000, but they will then have to pay PMI. It’s important for buyers to understand that a down payment is not the only costs they will have to come up with when buying a home. Closing costs and other fees will also need to be paid by the buyers. - Examine monthly expenses. Once buyers learn how much mortgage they will qualify for, they will then see how close they are to buying a home. But prospective buyers of all means can save more each month by examining their monthly expenses and looking for ways to save. Buyers can begin by looking over their recent spending habits and then seeing where they can spend less. Cutting back on luxuries and other unnecessary spending can help buyers get closer to buying their next home. - Avoid risky investments. Sometimes it’s great to take risks when investing, but risk should be avoided when saving for a down payment on a home. Traditional vehicles like certificates of deposit, and savings accounts can ensure the money buyers are saving for their homes is protected and not subject to market fluctuations. Saving enough to make a down payment on a home can be accomplished if buyers stay disciplined with regard to saving and make sound financial decisions.